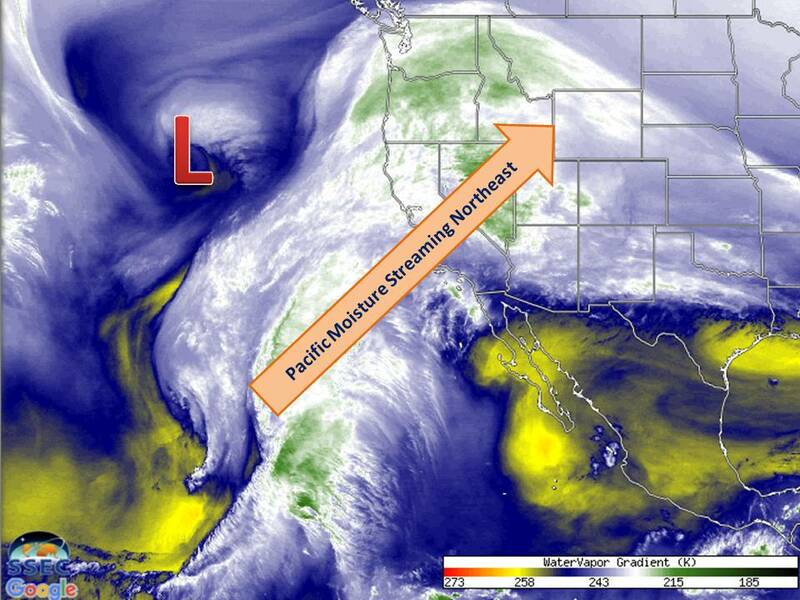 A complex storm system is beginning to organize off the West Coast this afternoon. Its counter-clockwise flow around the center and open feed to tropical regions in the Pacific Ocean has been pulling moisture from the areas further southwest to the United states. This along with an eventual feed of moisture from the Gulf of Mexico will provide ample moisture for our next winter storm to work with come Friday into the weekend. Heavy snow total will likely be seen through multiple states. Much of the Midwest will get in on the accumulating snow, some areas will likely approach a foot of snow. The best chances for 10-12" will be across northern Lower Michigan back through eastern Wisconsin. 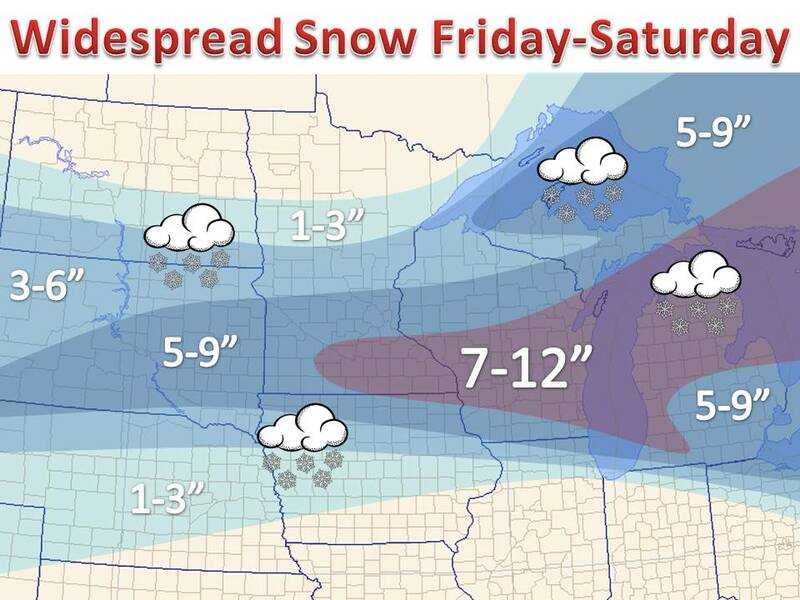 Meanwhile near 6" of snow will set up further west. Most of this snow will be very light and fluffy, piling up quickly. It will not take too much to blow the snow around. As this system pulls away on Sunday, the coldest air in years will fill in behind. Check out the morning wind chills Sunday, forecasted from the GFS model. For more, follow on Twitter and Facebook!